Bali Zoo Park Tour is a Bali Activities Tour to enjoy visiting private zoo own by Balinese with 130 staff and works together as a family, the zoo set in 12 acres lush tropical garden and flowers surrounded. Very up market Bali zoo with 100s quality build habitats including petting area for animals, walk through bird aviaries, Gibbon Islands, and Komodo Dragon cage and latest open range for african lions den. We set out to provide an experience for our visitors that like no other. Bali Zoo Park aims is to encourage interaction between our guest and the animals. It’s a truly Hands-on Experience. • open Wednesday and Saturday only – Start from 6 pm – 9 pm. Bali Waterbom Tour is a Bali Activities Tour and exciting water slides slice through 3.8 hectares of landscaped tropical parks providing hours of fun and entertainment for the young and young at heart. There are 101 ways to fill 24 hours each day with thrilling activities on land and in water. For relaxation, drift leisurely in a tube raft or go for a tranquil dip in inviting blue pools. A soothing massage or spa treatment is the ultimate way to unwind. Set your own pace for a day of fun in the sun or relaxation in the shade; perfect for the whole family or for that special getaway. With a choice of dining outlets and a swim-up bar for tropical drinks, Bali Waterbom is the one-stop leisure capital of Bali. World-class slides and rides are built and maintained to strict international safety standards. The advanced salt chlorination technique is soft on the environment and on your skin. A roving photographer will capture your fun on film so you can cherish the wonderful memories at Bali Waterbom. Use of all water slide facilities, tubes and mats for one day. The above rates do not include Towel, Locker, Gazebo, Euro-Bungy, Wall Climbing, Water Blaster, Spa Services and Food & Beverages. Bali Water Sports is a Bali Activities Tour by offer comprehensive range of marine activities with great challenges, exciting and designed full of fun in Tanjung Benoa Nusa Dua. 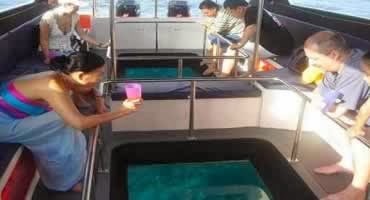 It is offers variety of water activities from motorizes until non-motorize one and bring you to unforgettable experience to enjoy fun activities in the beach or in the ocean. 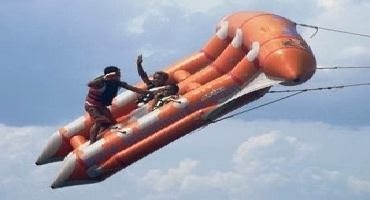 Bali Water Sports giving the fantastic experience marine adventures for everyone who desires to enjoy the exciting water recreations such as: Snorkeling, Para sailing, Jet Ski, Water Ski, Wake Board, Banana Boat, Glass Bottom Boat, Fly Fish, Dolphin Watching Tours and package of marine sport with competitive rates. 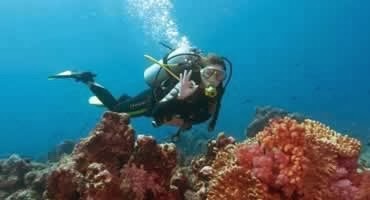 To keep guest comfortable all water sport activities are ensured by high quality safety equipment and medical insurance. 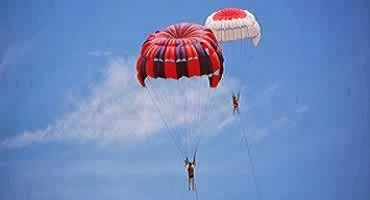 Just enjoy the exciting Bali water sport activities of your choice. See the beautifull sunrise from the mountain during Bali Trekking Tour and make this experience memorable one during your holiday in Bali Island. Our guide will asssit you during the treeking and explain all information about the trekking and about bali island culture. Mount Batur Sunrise Trekking Tour, volcano is one of the sacred mountain according to Hindu believe. Mount Batur is located in Batur village, Kintamani District, Bali, Indonesia. Mount Batur (Gunung Batur) is 1717 m above sea level can be summited by physically fit hikers in around 2 hours. Mount Batur Bali is an active volcano that draws tourists in with both beauty and promise of Bali adventure Tours. We offers climb Mount Batur Bali to enjoy an unforgettable sunrise from the top of an active volcano. Spectacular scenery and the vibration of the sacred earth filling your mind and soul as u served by tasty morning breakfast cooked by the steam of the active volcano.On the way home from the trek we will stop off at a Traditional Bali Coffee Processing or Bali Agrotourism, place to see various Tropical plantations and see how to make Balinese coffee in very traditional process, and we also get to sample of them as well as local herbal teas, coffees and the unusually processed Coffee Luwak, the most expensive coffee in the world. Mount Abang is located at Bangli Regency approximately 60 kilometers from the main city of Denpasar. It’s stand 2152 meters above the sea level as the second highest mountain in Bali, it can be summitted by physically fit hikers about 2,5 hours.Mount abang is known as very virgin mountain by the locals, the trek is the pilgrim to top of the high spirited atmosphere. Along the trek you’ll pass the green tropical forest that existed hundred of years. The trek become more energize as you pray at the temple during the trek to the peak.Fantastic’s panorama are served by the peak of Mount Abang as the guide explains you about the history of the Balinese culture.On the way home from the trek we will stop off at a Traditional Bali Coffee Processing or Bali Agrotourism, place to see various Tropical plantations and see how to make Balinese coffee in very traditional process, and we also get to sample of them as well as local herbal teas, coffees and the unusually processed Coffee Luwak, the most expensive coffee in the world. Mount Agung or Gunung Agung is Bali’s highest and holiest mountain as it is believed as the home of the God. It located in Karangasem Regency, Bali, Indonesia. Mount Agung Bali stands 3,142 meters above sea level, can be summitted by physically fit hikers about 3 to 4 hours from Pasar Agung Temple starting point and 5 to 7 hours from Besakih Temple starting point.mIf you want to be a challenger adventure tours who thinks that trekking or climbing is spectacular, this trek will be good choice for you. Climbing Mt. Agung with Bali local Mountain Guide will help you to discover the atmosphere of the spirituality ground and see more things up closer than just about anything else. This program will make your holiday be completely exciting in Bali island. The amazing sunrise from the peak of Mount Agung as you’ve never seen from other places. You also can see Mount Rinjani outside of the Bali Island that is located at Lombok island.There are two common climbing routes up the mountain, all are challenging and you need to be physically fit and have some serious trekking experience. Choose between our regular package, straight from your hotel to orientation! Bali Tree Top Adventure Park Tour is a fun Bali Activities Tour set in an open air environment for group and family in Indonesia, 0pen everyday in Bali Botanical Garden, Bedugul. We also provide you with company outing and team building services. Try and get memorable experience and enjoy a fantastic panoramic views with the Bali Treetop Adventure Park Tour offers 65 challenges for all level and ages : Suspended bridges, Spider Nets, Tarzan Jumps, Flying-Fox, Flying Swings, and many more fun challenges with 6 levels challenges in 5 adventure circuits from one tree to another with height range between 2-20 meters. Equipment of Bali Treetop Adventure Park Tour Throughout the entirety of the Circuits you will remain attached to a life-line support. Patrol Guides will also be situated along the circuit ready to advise and assist as needed – giving support from above and below. Before starting the activity on the Circuits, every client must follow the Safety instructions by our Patrol Guides. Our specially trained Patrol Guides will explain how the circuit works, how to use the equipment, and provide all safety instructions which you need to respect at all times. The construction of Bali Treetop Adventure Park Tour and all materials and equipments comply with French Standards (NF) XP S 52-902-1, and our Park is built, maintained and managed by a French management. 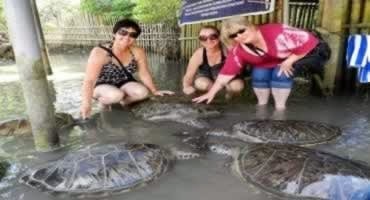 Bali Spa Tour is a Bali Activities Tour by offer is the best packages with lowest price that you should try during your holiday in the island. Bali Spa with the 20 beds, meditation room, swimming pool, body steam jacuzzi, locker room, and nice garden to make refresh your mind. With a professional and experience Bali Spa therapists in your treatment will give you and excellent therapy care for refresh your mind and body. Copyright © 2013 BALI TOUR | BALI DAY TOURS | BALI TOURS DRIVER. All rights reserved.